2. Philosophie Heute: Paul Feyerabend – Lieber Himmel – was ist ein Mensch? 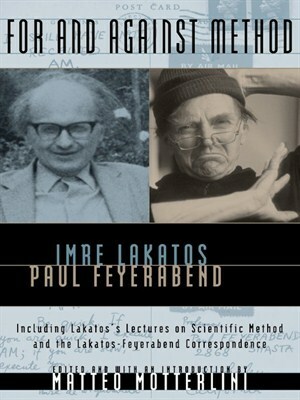 As is well known, Feyerabend presented Against Method (Feyerabend 1975b) as his own contribution to an ultimately failed joint project: a volume which had been designed to recap the dialogue that Feyerabend had entertained with Imre Lakatos over the previous two decades, but which could not be possibly finalized due to Lakatos’s premature death on 2 February 1974. In the years following the publication of Against Method, Feyerabend often insisted on the personal, epistolary, nature of the book, with the main aim of justifying the informal, sometimes aggressive, style of its text, whose rhetoric excesses its reviewers had not failed to notice and frown upon. (See, e.g., Feyerabend 1976b, pp. 381-382, 384n1, which later became part of Science in a Free Society). About twenty years ago, a selection of the letters which Feyerabend and Lakatos exchanged between December 1967 and February 1974 was included in a collection of previously unpublished writings by Lakatos and Feyerabend, edited by Matteo Motterlini for the University of Chicago Press. 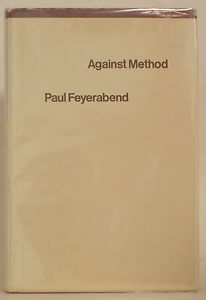 Indeed, the section of For and Against Method (1999) which goes under the title “The Lakatos-Feyerabend Correspondence (1968-1974)” represents the bulk of the book, covering more than 250 of its roughly 450 pages, and was set up with the explicit “intention of filling [the] gap” (p. 119) left by Lakatos’s missing reply to Feyerabend’s Against Method. It must be emphasized that Motterlini warns the readers that “[t]he letters chosen […] do not […] make up the whole correspondence” (p. 119) between Lakatos and Feyerabend, but only a specific part of it. 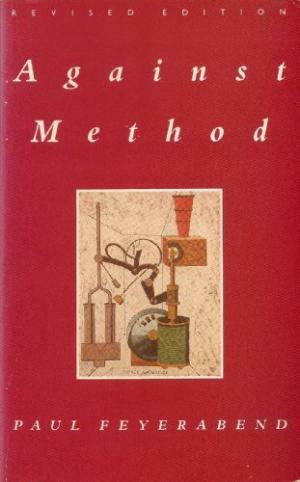 More precisely, in accordance with the stated purpose of this section of the collection, the editor only “selected those letters which appeared most relevant to the debate surrounding the ideas of Against Method and those most useful in suggesting Lakatos’s possible response ‘For Method’” (p. 119). In addition, he included “letters dealing specifically with the student revolt of 1968 and important international political affairs of the time” and “letters in which the authors comment on books, papers, conferences, and works of general and specific interest” (pp. 119-120). Admittedly, “[t]here is necessarily a subjective element involved in this choice” of the editor and, to be sure, there are some more such elements in the “cuts and omissions that [Motterlini] deemed necessary in reference to strictly private matters, or simply in order to avoid repetition and improve the readability of the text” (p. 120). However, the editor assures that, “[b]y and large, the [selected] letters appear in their original form and in full” (p. 120). Unfortunately, Motterlini does not specify the amount of what was left out of his selection: neither with respect to the whole Lakatos-Feyerabend correspondence, nor to the letter exchange from the time span on which he chose to focus (1968-1974), nor – as is customary and almost inevitable – to individual letters included in the collection. The editor simply informs the readers that they “should not expect a reply to every letter” and suggests that they would better “loo[k] at [the selected] letters as a patchwork, rather than a continuously woven, fully articulated, and coherent tapestry” as “[t]he exchange is […] often interrupted at times when the two interlocutors had the chance to meet regularly and to continue their discussion face to face” (pp. 119-120). So, all in all, I cannot claim that Motterlini did not make me aware that “The Lakatos-Feyerabend Correspondence (1968-1974)” was far from being a critical edition of (a section of) their letter exchange. 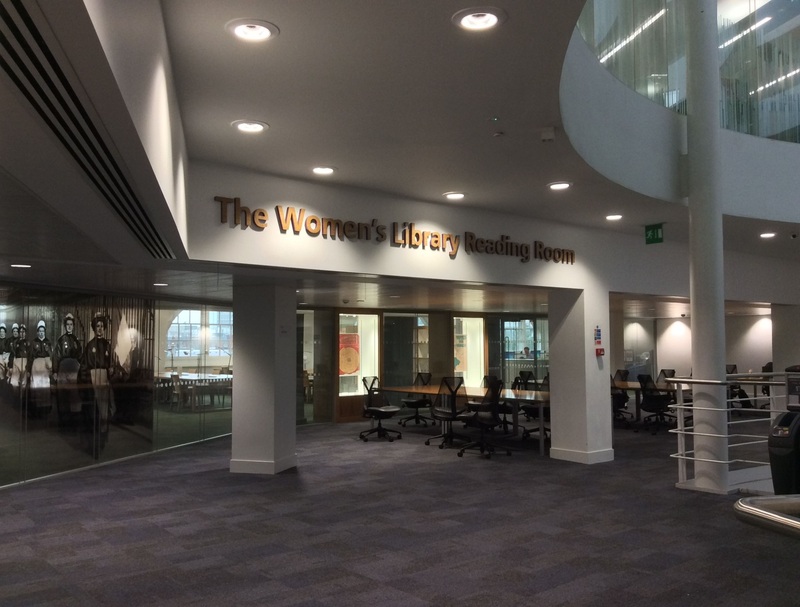 Still, I must confess that I was quite puzzled when, about eight years ago, I visited the LSE Archives for the first time and started working on the papers of the Lakatos Collection. In fact, it became immediately clear to me that the published version of the letter exchange between Lakatos and Feyerabend was of rather limited use as a primary source in historical research and that a lot more work had to be done to sort out the Lakatos-Feyerabend correspondence. This conclusion could be drawn at a glimpse, considering that the set of letters included in For and Against Method consists of about 200 items, whereas the “complete” Lakatos-Feyerabend correspondence, extending between 1964 and 1974, includes more than 700 surviving items between letters, postcards and telegrams, with roughly 600 of them dating to the 1968-1974 period. In other words, “The Lakatos-Feyerabend Correspondence (1968-1974)” encompasses slightly more than a quarter of the entire letter exchange between Lakatos and Feyerabend that was preserved in Lakatos’s personal archive and only a third of the existing correspondence dating between 1968 and 1974. As I went through the original letter exchange more carefully in the following years, it turned out that the selection published in For and Against Method was flawed in several other respects – and quite apart from Motterlini’s editorial notes, whose defects were noticed early on by a reviewer of the book (see J. Agassi, “A Touch of Malice”, Philosophy of the Social Sciences, 32:1 (March 2002), pp. 113, 114). Some mistakes in the transcription were definitely to be expected, given the number of letters involved and that quite a few of them are handwritten. Most readers may not consider the fact that cuts and omissions within single letters are not always properly signaled particularly annoying. But they should find rather disturbing that some items have been put in the wrong chronological order. This is also partly excusable, though not less irritating, as Feyerabend’s letters were often sent undated. And even if some of them were inscribed with a date by Lakatos himself, possibly upon receiving them, possibly later (e.g., when he filed Feyerabend’s letters in his archive), Lakatos’s annotations are not invariably reliable. Consequently, it may require a painstaking cross-examination of several different sources to ascribe a convincing, if sometimes only approximate, position in time to specific undated items. It is far less excusable, however, that what were originally two different letters are presented in the published selection as a single one. Nevertheless, these are admittedly minor faults from a historiographical point of view, if compared with the substantial lacunae in the selection of letters dating to the time interval under Motterlini’s attention, both within and especially without the chosen items. As it happens, only a limited number of the gaps that can be found here and there in the epistolary conversation as represented in the selection are due to logistic circumstances which allowed the dialogue between Lakatos and Feyerabend to continue in person. These are often easily detectable based on the content of the exchange and they are obviously to be accepted by default. On the other hand, the far larger amount of gaps that are supposedly justifiable in terms of Motterlini’s criteria of relevance for his aims are hidden to the readers’ view. What is more, they interfere with what might be considered a reasonable expectation on the readers’ part, namely getting a clearer view of the Feyerabend and Lakatos’s intellectual relationship not only through the evocation of Lakatos’s plausible response to Feyerabend’s purported provocations, but also through the detailed reconstruction of the genesis and development of the project which eventually led to the publication of Against Method. This is what I shall try to do in the next installments. It is not unlikely that the result of such an effort would show only partial congruence to Feyerabend’s initial narrative about the genesis of Against Method. It could also contribute to illuminate the reasons why Lakatos did not actually even start to write a proper answer to Feyerabend’s work. As seen in Part I, evidence to the effect that the relationship between Feyerabend and Bachmann became more intense in the spring of 1948, together with McVeigh’s interpretation of Feyerabend’s recollections as indicating a shift to philosophy in Feyerabend’s interests dating to 1949, prove expedient for McVeigh to account for Bachmann’s sudden “academic orientation towards Kraft” which, he suggests, “could […] also be influenced by her friendship with Feyerabend in the crucial years 1948/49” (p. 50). In fact, in the winter of 1948, following the advice of Ernst Topistch (1919-2003), who was then working on his habilitation with Dempf, Bachmann had enthusiastically decided to write a dissertation in “pure philosophy” under the supervision of the Catholic metaphysician, focusing on the idea of holiness in the work of late nineteenth century German authors such as Meyer, Nietzsche and Burckhardt (see pp. 42, 46-47). However, in 1949, Dempf received a call from Munich, where he would move from the 1950/51 winter semester (see pp. 40, 42, 47). In such circumstances, surmises McVeigh, “owing to [Dempf’s] forthcoming departure and the consequent loss of his protection, [Bachmann] finally switched to Viktor Kraft in order to save her project to embark on an academic career after earning her doctoral degree” (p. 47). Thus, despite the fact that Bachmann “completed […] a large part of her lecture courses with Leo Gabriel” (p. 47), in the 1949/50 winter semester she attended a seminar given by Kraft. As early as the end of 1949 she finalized a dissertation on “Die kritische Aufnahme der Existentialphilosophie Martin Heideggers [The Critical Reception of Martin Heidegger’s Existential Philosophy]” and in the first days of the following spring she was awarded her PhD (see pp. 47-48). A few comments are in order concerning McVeigh’s account of the final stage of Bachmann’s academic studies. First of all, it should be noticed that the career strategy that McVeigh attributes to Bachmann does not seem entirely convincing. At the time of her decision to switch to Kraft as her Doktorvater, Kraft was at the end of his troubled academic career and due to retire in 1952, whereas the chair left vacant by Dempf was to be quickly and smoothly passed over to Gabriel (1902-1987). The latter had habilitated with Dempf in 1946 and was made extraordinary professor when Dempf resigned in 1950, becoming full professor just a year later. Therefore, Bachmann’s choice was not particularly longsighted. Perhaps these developments within the University of Vienna philosophy department could not be exactly foreseen in 1949 or Bachmann was then totally unaware of the situation or she was ill-advised about her career prospects. All of these conditions, however, seem quite unlikely, also given Bachmann’s good relations with an insider such as Topitsch, who would become a faculty member in 1956. On the contrary, apart from briefly helping Topitsch to manage the department of philosophy around the time of her doctoral graduation in the second half of March 1950, Bachmann never had a concrete chance to get a position at the University of Vienna (see p. 48). However, thanks to a series of grants awarded to her by the city of Vienna and the Austrian Federation of University Women after her graduation, Bachmann could spend several months abroad between October 1950 and early March 1951: initially in Paris and from December in London (pp. 108-111). Shortly after her return to Vienna, she found a job by the secretary of the US Intelligence Agency “News and Features Section”, whereas from the following September, owing to contacts with the journalistic and literary scene established with the help of Weigel, she was employed as scriptwriter and editor at the Allied radio station Rot-Weiss-Rot (see pp. 74-77). Bachmann’s job in radio journalism as well as her occasional pieces in printed journalism were instrumental, both intellectually, socially and financially, to support her literary production before her final departure from Vienna in August 1953 (see p. 82). In May 1952 she was invited for the first time to a meeting of the Group 47, which exactly twelve months later would officially recognize and honour the value of her lyrical work. (For an overview of Bachmann’s life, including her Viennese years, see this web page by Helga Pöcheim, Ingeborg Bachman Literary Circle – in German). Insofar as the above considerations put into question the attempt to understand Bachmann’s turn towards Kraft as part of a career strategy, they seem to make Bachmann’s move even more puzzling. Alternatively, they highlight the stress put by McVeigh on the influence that Feyerabend’s shift to philosophy could have had on Bachmann’s choice. Indeed, starting from the 1948/49 winter semester, Feyerabend did make a perceptible switch (back) to philosophy after having devoted most of his second, third and fourth semesters to physics. (According to Feyerabend’s Studienbuch, the philosophy/physics classes ratio in the eigth semesters of his student career was: 5/0, 2/12, 4/11, 2/9, 7/5, 2/2, 4/1, 4/2). As Feyerabend made clear in the self-presentation attached to his 1951 dissertation, his return to, or closer rapprochement with, philosophy was due to his meeting with Popper in the summer of 1948, at the fourth International Summer School organized in the Tyrolean village of Alpbach by the Austrian College Society. This para-academic institution was born out of the unexpected success met by the Alpbach annual events, boldly launched in the aftermath of WW2 by Otto Molden, a Viennese member of the Austrian Catholic resistance to Nazism, and Simon Moser, a professor of philosophy at the University of Innsbruck, and known since 1949 as European Forum Alpbach. Feyerabend became involved with the activities of the Austrian College Society from early 1948 and, most likely in the following autumn, he actively contributed to the establishment of a study-group on the philosophy of nature (naturphilosophischer Arbeitkreis), which started to meet regularly under the academic leadership of Kraft and, accordingly, informally known or referred to by Feyerabend as “Kraft Circle”. (For a detailed account of the meeting between Feyerabend and Popper and for references to Feyerabend’s recollections, see my paper (in press), p. 11 and the draft of my introduction to a forthcoming volume including the Feyerabend-Popper correspondence, pp. xi, xvii-xviii. The best accounts currently available concerning the establishment of the European Forum Alpbach and the Austrian College Society and about Feyerabend’s involvement in its activities are provided, respectively, by Schorner’s “Comeback auf Umwegen. Die Rückkehr der Wissenschaftstheorie in Österreich” [in Vertreibung, Transformation und Rückkehr der Wissenschaftstheorie: Am Beispiel von Rudolf Carnap und Wolfgang Stegmüller, F. Stadler (ed. ), LIT: Vienna and Berlin 2010,pp. 189-252] and in Kuby’s 2010 dissertation on Feyerabend’s years of apprenticeship in Vienna – both in German). Considering that Bachmann had possibly attended Moser’s classes when she was a student in Innsbruck in the autumn of 1945 and that she had manifested a deep interest in the Alpbach events between 1948 and 1950, though it is not clear whether she ever participated in them (see McVeigh 2016, pp. 16-17, 233-234n13), one may wonder if it was not she who introduced the activities of the Austrian College Society to Feyerabend. However, I do not expect that this question will find a convincing answer anytime soon, if ever. The last traces left of a direct contact between Feyerabend and Bachmann can be found again in their records of study. As they were classmates in their first term at the University of Vienna, so they were in Bachmann’s last term, the 1949/50 winter semester, when apparently both of them attended Gabriel’s courses and Kraft’s seminar. It seems, however, that their connection via Kraft was of a rather thin kind and did not extend beyond the precincts of the university buildings. In particular, notwithstanding Bachmann’s final choice of Kraft as Doktovater, neither Bachmann ever mentions the Kraft Circle in her correspondence (see pp. 51 and 237n59), nor Feyerabend ever mentions her as one of its regular members or occasional visitors, nor any other evidence could be found that Bachmann attended its meetings at the headquarter of the Austrian College Society in Kolingasse 19, at walking distance from the University of Vienna main building. This is possibly due to the intellectual distance between, on the one hand, Bachmann’s interests in spiritual and existentialist philosophy — as testified both by her projected dissertation and by the different one she completed at the end of 1949 — and, on the other one, the epistemological, sometimes technical, topics discussed in the study-group led by Kraft and Feyerabend. A side effect of such circumstances is that Bachmann could not seize the opportunity to meet Wittgenstein during his last stay in his hometown. Wittgenstein moved from Cambridge to Vienna on Christmas Eve of 1949, shortly after having being diagnosed with a prostate cancer, to be closer to his unmarried sister Hermine, who was terminally ill with a similar disease. He spent the whole 1949/50 winter living with her and the house servants at his family home, at 4 Alleegasse (now 16 Argentinierstrasse). Hermine passed away on 11 February 1950 and Ludwig waved his farewell to Vienna about a month later, on 23 March — exactly on the same day in which Bachmann earned her doctorate. In late January, under the stimulus of Goethe’s Farbenlehre [Theory of Colours], Wittgenstein probably started composing the twenty short annotations now collected in his Remarks on Colour, Part II, whereas sometime over his last weeks in Vienna, as he felt in better and better health conditions to philosophize, Wittgenstein also agreed to participate in a session of the Kraft Circle led by Feyerabend. The extraordinary event was made possible thanks to the mediation of Elizabeth Anscombe. At the time, Wittgenstein’s British pupil was in Vienna to perfect her Viennese German in view of the English translation of Wittgenstein’s work. She had been participating in the Viennese cultural life and she ended up in the audience at a lecture on Descartes which Feyerabend gave at the Austrian College Society. (An English translation of a selection of Descartes’ works by Anscombe and her husband Peter Geach would appear only a few years later; see René Descartes, Philosophical Writings, translated by G. E. M. Anscombe and Peter Geach, Thomas Nelson and Sons: London 1954). This started a fruitful and lifelong friendship made of lengthy philosophical discussions and good advices which helped Feyerabend start an academic career. Initially, Feyerabend invited Anscombe to talk to the Kraft Circle and, following Wittgenstein’s arrival in Vienna — most likely, after she began to meet him regularly three times a week, as early as February 1950 at the latest — she managed to have Wittgenstein persuaded to accept a similar invitation. (McVeigh, perhaps following the vague indications that can be found in Feyerabend’s autobiographical remarks, misdates the event back to early 1949, see McVeigh 2016, p. 51. 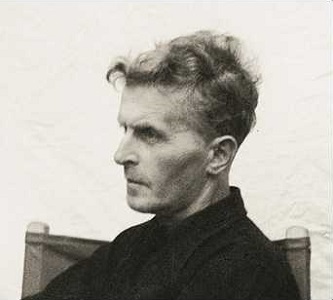 However, on the basis of Wittgenstein’s correspondence, it can be argued that the meeting of the Kraft Circle in which Wittgenstein participated took place in all probability between mid-February and mid-March 1950; see Wittgenstein to Malcolm, 29 December 1950 [#414]; Wittgenstein to von Wright, 12 February 1950 [#419]; Wittgenstein to Malcolm, 12 February 1950 [#420], 5 April 1950 [#421], in Wittgenstein in Cambridge: Letters and Documents 1911-1951, B. McGuinness (ed. ), Blackwell: Malden (MA), Oxford & Carlton 2008, pp. 454, 459-461. This complements the concise reconstruction provided in my paper (in press), p. 10, n19 in particular). Bachmann’s missed chance looks especially unfortunate if one considers her failed attempt to pay a visit to Wittgenstein in Cambridge about a year later, in early 1951 (McVeigh 2016, p. 52), when she was based in London and Wittgenstein was hospitalized at his doctor’s home to live his last days. Such turn of events acquires even further weight in light of Bachmann’s 1953 article on Wittgenstein’s philosophy mentioned in Part I, her ensuing radio lecture on “Sagbares und Unsagbares – Die Philosophie Ludwig Wittgenstein [The Sayable and The Unsayable: The Philosophy of Ludwig Wittgenstein],” broadcasted by BR Munich in the late summer of 1954 (see McVeigh 2016, pp. 237-238n62) and, ultimately, of Bachmann’s claim, in a 1955 interview, to the effect that her acquaintance “with the work of the philosopher Ludwig Wittgenstein” had been “the most important for [her]” among the “intellectual encounters [geistige Begegnungen]” she had during her Vienna years and to which “some aspects in [her] works could be traced back” (Wir müssen wahre Sätze finden. Gespräche und Interviews, C. Koschel & I. von Weidenbaum (eds), Piper: Munich and Zurich 1983, p. 12, quoted in McVeigh 2016, p. 238n63). In addition, the hypothesis that news of Wittgenstein’s possible visit to the Kraft Circle did not even reach Bachmann is particularly telling with respect to her position in the network around Kraft and to the nature of her relationship with Feyerabend. (Of course, it cannot be ruled out that Bachmann was in fact informed about the exceptional guest, but either in early 1950 she was not yet interested in Wittgenstein’s philosophy or just contingent reasons prevented her from attending the meeting of the Kraft Circle on such occasion. Had this been the case, however, it seems unlikely that it did not leave any trace in her correspondence). Indeed, it could be taken as further supporting evidence, however indirect, that Bachamnn was rather eccentric within Kraft’s entourage. Moreover, it seems to indicate that the relationship between Bachmann and Feyerabend loosened up with time and that they possibly parted ways as their philosophical interests took them in different directions. In short, their intellectual siblinghood, as pupils of the same Doktorvater, was not an especially significant bond at the time. In fact, it is not even clear that Bachmann and Feyerabend were Kraft’s pupils in the same time period. As was the case with Bachmann, though for different reasons, Kraft was apparently also Feyerabend’s second best option as supervisor. According to Feyerabend’s own recollections, in his doctoral dissertation he had initially planned to deal with a problem in theoretical physics, classical electrodynamics in particular. However, facing serious difficulties in pursuing that project, he eventually resolved to turn his own notes from the Kraft Circle into a proper philosophy thesis under Kraft’s supervision, so that the resulting work could fit academic standards and earn him a doctoral degree (see Feyerabend 1995a, p. 85). When such decisive turn occurred and how long it took Feyerabend to finalize his dissertation remain uncertain. However, there is no doubt that Feyerabend’s plan B proved successful as he submitted his dissertation in mid-May 1951, defended it before a panel composed of two philosophers (Kraft and Friedrich Kainz) and two physicists (Hans Thirring and Georg C. Stetter) and officially graduated at the end of that year, more than twenty months after Bachmann’s graduation. Considering the absence of evidence of a relationship of any kind between Feyerabend and Bachmann after 1948, one must concede that this is no evidence of absence of any relationship whatsoever between the two. On the other hand, going full circle, one may still wonder what urged Feyerabend to include the note critical of Bachmann’s remarks on science and literature quoted in full in Part I in a paper that he completed at the end of 1964, more than fifteen years past their acquaintance and about a decade since they both left Vienna and, in all probability, definitely lost touch. An easy answer could simply notice/point to the fact that Bachmann’s collection of lectures from which Feyerabend excerpted a quotation had just appeared earlier that year. Such a hypothesis, however, would assume that Feyerabend kept a sustained interest in Bachmann’s work and a corresponding attention for her publications throughout the intervening years, which we would have no other reason to believe. My alternative, and to me more plausible, guess is that Feyerabend was rather made aware of Bachmann’s volume by common acquaintances and, more precisely, that Feyerabend’s 1964 reference to Bachmann’s work is not unrelated to Feyerabend’s return to Vienna in the summer of 1964, after an almost six-year-long absence. Indeed, throughout his Bristol years (1955-58), Feyerabend had the chance to visit his hometown at least twice during summer vacations. In September 1956, he introduced Vienna to his wife-to-be and her chaperoning brother, living together in his old flat after participating in the Alpbach event. About two years later, between mid-July and late August 1958, Feyerabend was in Austria again: he explored the viability of getting an academic position in Vienna and, on his way to Alpbach, he had his last opportunity to see his father in Bad Ischl, where the latter had moved with his new partner since the mid-1950s at the latest (cf. Feyerabend 1995a, p. 4). 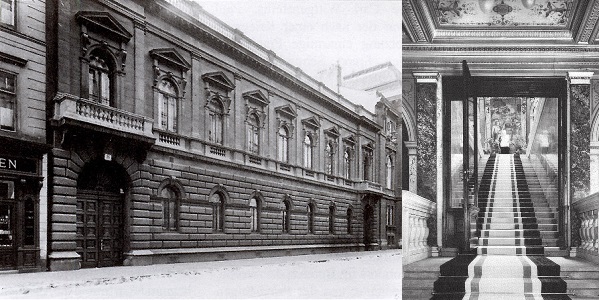 He attended the first few days of the Alpbach event, where he met Popper, John W. N. Watkins and Hans Albert, before returning to the United Kingdom to board on the ocean liner that, between 27 August and 2 September, took Feyerabend from Southampton to New York. Thence he reached Berkeley, where he started his appointment as visiting professor. It was not before the end of July of 1964, however, that Feyerabend saw Vienna again. In the meantime, several aspects of his life had changed, both professionally and personally: in the spring of 1959 he became Associate Professor at the University of California, Berkeley; in the spring of 1961 he lost his father; a year later he was promoted to Full Professor and in the following summer he got married for the third time; finally, in the spring of 1964, the situation between Feyerabend, Popper and the Popperian School became very tense (see my paper (in press), § 2.2) and Feyerabend’s relation with his wife did not fare much better. Austrian para-academic institutions such as the Salzburg International Research Center on Key Issues of the Sciences [Internationales Forschungszentrum für Grundfragen der Wissenschaften Salzburg] and the European Forum Alpbach seemed happy to celebrate Feyerabend’s in-many-ways extraordinary international success in academic philosophy and invited him to participate in their 1964 summer activities. On the other hand, in a time of personal crisis, having just turned 40 and feeling extremely isolated in Berkeley, both socially and intellectually, Feyerabend could perhaps hope that returning to his hometown would help him reconnect with old friends, reestablish lost ties and steer a new course. He spent the remaining of the summer in Austria, mostly in Vienna, inaugurating a crucial time period in his intellectual development. As it happened, the second half of the 1960s proved to be a time of transition for Feyerabend, not only because he split his time almost equally between the US, mostly Berkeley, and Europe, where he stopped for longer periods in Vienna (1965), London (1967-70) and Berlin (1968); but also because he strove to emancipate himself from the legacy of his Popperian apprenticeship, turning his Theoretical Pluralism into Methodological Anarchism. I think it was Dr. Parakenings, the curator of the Philosophical Archive at the University of Constance, who first drew my attention to a possible personal connection between Feyerabend and the Austrian poet, writer and playwright Ingeborg Bachmann (1926-1973). The subject came up in one of the stimulating conversations we had while she was kindly assisting me with my doctoral research on the Feyerabend Nachlass, the Feigl Collection and the Carnap Collection, during my first visit at the Archive back in autumn 2004. I had not failed to notice that Bachmann’s name occurs in one of the many, sometimes longish, notes with which Feyerabend used to “enrich” his papers in the 1960s. (Some of Feyerabend’s colleagues found such notes even more interesting than the main text of his papers, though most of them questioned Feyerabend’s style in that it made his pieces even harder to read than they already were. Feyerabend gradually dropped such a habit in the following decade, when stylistic matters became one of his main concerns). In particular, Feyerabend quoted Bachmann at some length in his “Reply to Criticism” (Feyerabend 1965e), a central paper in the consolidation of his proposal of a “Theoretical Pluralism”. Here, drawing on a Carnapian metaphor on which I will return in a future series of posts, Feyerabend presented his pluralistic conception of knowledge as “an ever increasing ocean of alternatives” rather than “a process that converges towards an ideal view” and, in this train of thought, compared scientific knowledge with the ongoing conversation which constitute a literary tradition, appropriating Bachmann’s terminology while criticizing her “naively falsificationist” – as Lakatos would have it – conception of scientific knowledge. Thus, between the lines of a note showing Feyerabend’s familiarity with Bachmann’s — rather than, say, Kenneth Burke’s — lectures on poetry and literature, one can read open criticisms against Whiggish history as well as more oblique ones against Wittgenstein. Some may also want to read into them a criticism of Popperian falsificationism. As I will show in a forthcoming paper I am not among them, at least not without a number of crucial qualifications. It seems fairly obvious anyway that the note featuring Bachmann’s name can hardly escape the attention of any Feyerabend scholar. However, at the time of my conversation with Dr. Parakenings, I did not know much about either Bachmann herself or her own work. Most likely, Dr. Parakenings mentioned that Bachmann, just like Feyerabend, completed her academic studies at the University of Vienna at the turn of the 1950s under Victor Kraft’s supervision or maybe I discovered these intriguing details browsing the web while I was at the archive. Be it as it may, I seized the occasion offered by Dr. Parakenings’ hints to delve deeper into this aspect of Feyerabend’s intellectual life. To approach Bachmann’s work and see if anything could be made of it in my Feyerabend studies, I followed Dr. Parakenings’ suggestion and hastened to buy a copy of Bachmann’s novel Malina as soon as I got back home. I read the first pages of the book, but soon lost interest in it and set it aside together with my good intentions to unravel the Feyerabend-Bachmann affair. I cannot remember if I got the feeling that pursuing those clues would not lead me to any interesting result with respect to what back then was the main topic of my research (Feyrabend’s idea of incommensurabilty) or if it was for some other, possibly futile, reason that I decided to postpone any systematic research on this matter to some undefined point in the future. Whether deliberately or less so, I resolved to leave that research path and just keep alerted about any relevant evidence about Feyerabend’s connection with Bachmann that would pass under my eyes while following different paths. I must confess that I have not recorded much in this respect over the next several years. As far as I can tell, but I could well be wrong, Bachmann’s name is a hapax legomenon in the entire corpus of Feyerabend’s works, not occurring anywhere else but in the above-mentioned note: neither in those papers in which Feyerabend took up again the topic of the relation between literature and science (see, e.g., Feyerabend 1967h), nor in Feyerabend’s frequent autobiographical remarks, including his autobiography (Feyerabend 1995a). Apart from it, an extremely thin and indirect connection between Feyerabend and Bachmann can be seen in the fact that, in 1960, an essay on Wittgenstein by Bachmann (“Zu einem Kapitel der jüngsten Philosophiegeschichte [On a Chapter of the Most Recent History of Philosophy]”, Frankfurter Hefte, 8: 7, July 1953, 540-545) and one by Feyerabend (Feyerabend 1954e) were included, together with a few other secondary literature papers, in the supplementary volume to the first installment of Suhrkamp’s multi-volume collection of Wittgenstein’s works (Ludwig Wittgenstein, Schriften: Beiheft , Suhrkamp: Frankfurt am Main 1960). That was it. So, I was quite enthused as well as somewhat relieved when, about six months ago and more than a decade after my studies brought me in closer contact with Bachmann, I learned that Joseph McVeigh was working on Bachmann’s Viennese years and that Feyerabend had a role to play in McVeigh’s forthcoming monograph. Someone had finally ventured down a path that I had hesitated to take and had explored it moving from the opposite end. Now, thanks to McVeigh’s freshly published Ingeborg Bachmanns Wien 1946-1953 (Insel: Berlin 2016, 314 pp. ), a little more light has been shed on the relation between Feyerabend and Bachmann. 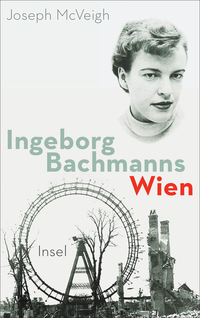 The book offers a reconstruction of Bachmann’s life in Vienna between the early autumn of 1946 and the summer of 1953, namely from the time when she moved to the Austrian capital city from her native Klagenfurt, via Innsbruck and Graz — where in the aftermath of WW2 she had started and had continued her university studies, respectively in philosophy and German literature and in political science — to the time when she left Vienna for Rome with a significant intellectual baggage, including a Ph.D. in philosophy and membership in a ramified network, which in 1953 celebrated her lyrical work with the Group 47 literary prize. Indeed, McVeigh emphasizes that “[f]or the development of Ingeborg Bachmann as a poet and intellectual, her years in Vienna were of great significance not only because of her studies, but also because of the people she met there” (p. 49 [all passages from McVeigh’s book are quoted in my translation]). The capital of the second Austrian republic was then occupied by the four main allied forces (and so it would remain until 1955) and was striving to recover from the devastation left by WW2. In such peculiar conditions, graphically portrayed in Carol Reed’s The Third Man (1949), the intellectual atmosphere was particularly spirited and it seems that at that time “Feyerabend was everywhere where interesting things were going on, provoking people”, as Alan Janik noticed in a letter to the late Feyerabend (quoted in Feyerabend 1995a, p. 69). So, it is not surprising that McVeigh lists Feyerabend first in the group of people who Bachmann met in Vienna and possibly had some influence on her intellectual development. As a matter of fact, Bachmann’s Viennese years largely overlap with Feyerabend’s longest stay in his hometown after his coming of age under Nazi propaganda and occupation; a delicate process that in Feyerabend’s case, not unlike many others’, was disrupted by the war. First the Reichsarbeitdienst, i.e. the six-month Reich Labour Service compulsory under the Nazi rule for men aged 18-24, and then proper military service as a Wehrmacht soldier and officer kept Feyerabend mostly away from home on the western and eastern fronts of the conflict from the spring of 1942 to early 1945, when he was severely wounded in action. Subsequently, he spent a protracted convalescence around Weimar, during which the area (including the Buchenwald concentration camp) was liberated by US troops and, after the Third Reich’s surrender, passed over to Soviet control. Feyerabend returned to Vienna only in the summer of 1946, just a few months before Bachmann’s arrival. He left again for some considerable time in the autumn of 1952, when he moved to London to pursue his post-doctoral studies at the London School of Economics under Popper’s supervision. He was back in the early summer of 1953, just a few weeks before Bachmann’s departure. Feyerabend definitely waved his farewell to Vienna two years later, in the late summer of 1955, to take up a position at the University of Bristol. He would never go back to his hometown for more than a few weeks of vacation until after his burial in 1994. Since then he is resting in peace in the Vienna South-West Cemetery. As McVeigh makes clear, however, “nothing certain can be said over the intellectual exchange between the two” (p. 50), though there is no doubt that “[t]hey met and struck up a loyal friendship with each other” (p. 49). The main evidence is provided by Bachmann’s correspondence and by her sister’s testimony. McVeigh reports that “[i]n a letter to her parents of 7 June 1948, Bachmann writes that Feyerabend acted as middleman for a meeting with [the Austrian Jewish author] Hermann Hakel [(1911-1987)]”, who had just returned from his voluntary exile in Switzerland, “and with [the Austrian writer, poet and librarian] Rudolf Felmayer [(1897-1970)]” (p. 237n54; see also p. 88). Moreover, in a series of letters to the Austrian Jewish writer and theater critic Hans Weigel (1908-1991) from the later spring and early summer of the same year, Bachmann “refers […] not infrequently to the fact that she has gone out with Feyerabend,” writes McVeigh (p. 237n54; Bachmann had become acquainted with Weigel in September 1947: see p. 46; apparently also Feyerabend was somehow acquainted with Weigel: see Feyerabend 1995a, p. 69). Isolde Moser (née Bachmann) confirmed to McVeigh that her sister “was friends with Feyerabend” and Isolde seemed to “remember about day-trips together […], but without specific details” (quoted in redacted form by McVeigh, p. 237n54). On such a basis, McVeigh concludes that “in the spring of 1948 and during the 1948 Summer semester [Bachmann and Feyerabend] occasionally attended lectures, visited exhibitions or made day-trips together on the hill of Kahlenberg or in the Vienna Woods” (p. 49). On the other hand, the epistolary evidence and oral history testimonies collected by McVeigh do not clarify when and how the friendship between Bachman and Feyerabend started. According to McVeigh, “[w]e do not know how it happened that they encountered for the first time, because Feyerabend at that time studied physics and in 1947/48 he did not attend the same classes as Bachmann” (p. 49), whereas only “[i]n 1949 Feyerabend switched from physics to philosophy and wrote his dissertation Zur Theorie der Basissätze [Towards a Theory of Basic Statements] (1951) under Viktor Kraft like Bachmann” (p. 50). However, speculates McVeigh, “[i]t is absolutely possible that Bachmann noticed him for the first time when Feyerabend together with other natural science students infiltrated the seminar of [the philosophy professor] Alois Dempf in order to proclaim to those present that the natural sciences were by far superior to the humanities” (p. 49). Apparently, McVeigh builds this conjectural narrative on the grounds of the fact that, for both Bachmann and Feyerabend, the time period 1946-1952 included the years of their academic studies at the University of Vienna: from their enrollment in the 1946/47 winter semester to their doctoral graduation in philosophy with Kraft as Doktovater in 1950 and 1951, respectively. In addition, presumably for lack of other sources, he relies on Feyerabend’s various autobiographical remarks concerning this period (McVeigh refers to Feyerabend 1995a, Feyerabend 1978a and Feyerabend 1983q). However, Feyerabend’s recollections are notoriously problematic and those about his university studies are no exception. In particular, Feyerabend consistently claimed that before moving to Bristol “[he] had never studied philosophy” (Feyerabend 1978a, p. 116) and that when he “got the Bristol job [in philosophy in 1955] […] [he] had no preparation whatsoever, because [he] had never studied philosophy or philosophy of science” (Feyerabend 1995e, p. 115). At the same time, he confessed about his very early, but casual, flirts with philosophical classics as a high school student (Feyerabend 1995a, p. 27; Feyerabend 1995e, p. 115) as well as about having written encyclopedia entries on methodology and the philosophy of nature after his return from London to Vienna in 1953 (Feyerabend 1995a, p. 97; see Feyerabend 1961j and Feyerabend 1961k). In fact, had McVeigh had a chance to examine Feyerabend’s Studienbuch (record of study) in Feyerabend’s Nachlass (PF 9-3-65), he would have discovered that philosophy courses are listed in each of the eight semesters through which Feyerabend’s student career developed (from the 1946/47 winter semester to the 1950 summer semester) and that these regularly included philosophy lectures or tutorials given by Dempf (with the exception of the 1947 and 1949 summer semesters and the 1949/50 winter semester), by Dempf’s pupil Leo Gabriel (all the remaining four semesters since the 1948 summer semester) and by Kraft (with the only exception of the 1948 summer semester), among others. Moreover, starting from the 1947/48 winter semester, Hubert Rohracher’s psychology lecture courses are included in Feyerabend’s Studienbuch for four consecutive semesters, whereas a Praktikum (training class, internship) organized by Rohracher is recorded in the following 1950 summer semester. Assuming that Feyerabend did attend all the classes that are listed in his record of study (which is not entirely clear) and considering that, according to McVeigh’s reconstruction, throughout the six semesters encompassed by Bachmann’s career as a student at the University of Vienna (from the 1946/47 winter semester to the 1949 summer semester) she registered for twelve classes given by Dempf, five by Kraft, three by Gabriel and also followed Rohracher’s lectures, doing a Praktikum with him (pp. 38, 40), there definitely was much more overlap between Bachamnn’s and Feyerabend’s courses of studies than McVeigh contemplated on the basis of Feyerabend’s autobiographical remarks alone. Indeed, the opportunity for them to socialize presented itself since their first semester at the University of Vienna, when both certainly attended Dempf’s lecture course on metaphysics. Therefore, it seems safe to conclude that in all probability the classrooms of the University of Vienna were the setting in which Feyerabend and Bachmann became acquainted with each other in the time span between the autumn of 1946 and the spring of 1948. 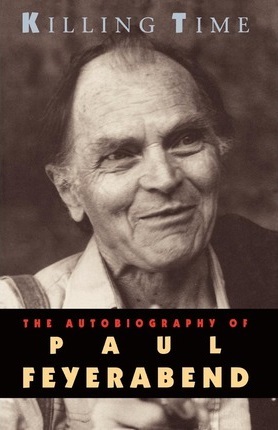 This blog is meant to be an open forum of discussion on the life and deeds of Paul K. Feyerabend (1924-1994). Pre-eminent among the latter are Feyerabend’s “literary crimes”, as he used to refer to his philosophical papers. I will contribute my own ruminations on Feyerabend’s views and their development, some of which I have already presented in more institutional settings such as international conferences, academic seminars and the like (see here), but have not yet reached the form of article drafts. The present blog is also part of my long-time project on a biography of Feyerabend. In particular, I will take advantage of the opportunities offered by this medium to shape and share partial results of my biographical research as blog posts, in the hope of getting useful feedback. The end result of this process should be a monograph which I would like to see completed by the centennial anniversary of Feyerabend’s birth in 2024. Although this blog was designed to facilitate and support my own research work on Feyerabend through the dissemination and discussion of its work-in-progress results, this should not prevent any other Feyerabend scholar to use it in the same way. In fact, I believe it would profitable for Feyerabend scholarship as a whole if we could make this platform a reference point for our studies. Therefore, I encourage anyone interested in Feyereabend’s work to follow suit and participate in this collective enterprise as author or discussant. It goes without saying that anything goes here: any contribution, either dealing with broad issues or focused on technical details of Feyerabend’s life and work, is welcome. So, let the conversation start! If you wish to post your contribution on this blog, please contact me by using the form below.